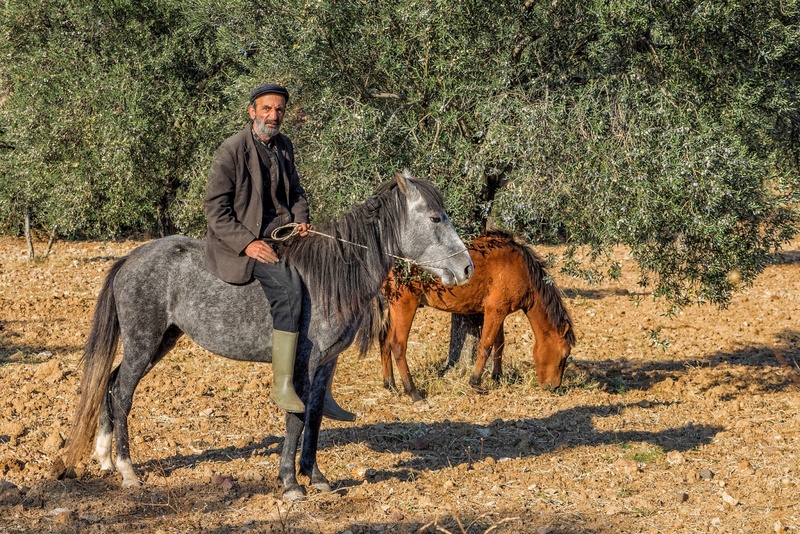 The tough looking keeper of an olive garden and the baby horse in Burhaniye, Turkey.. The Mediterranean region, owing to its mild climate, contains 98% of the olive harvest and 95% of the olive oil production in the world..
Aspendos, Turkey.. Stolen faces.. The Gladiator of Aspendos..
Munich, Germany.. Dj Fatih From Istanbul.. The best DJ in town.